A rediscovery of seven forgotten American women artists. Seaman’s list of artists is sure to introduce most readers to figures they don’t know ... What makes Seaman such an enchanting biographer is her willingness to embrace uncertainty, often stopping mid-narrative to pose questions regarding an artist’s possible intentions ... in this captivating book, she has resuscitated their complex and accomplished lives. Seaman’s lively portraits make the reader eager to rediscover them, a process helped along by the book’s photos of them and their art. Seaman’s zesty writing brings to life her passion for these subjects ... The descriptions of the artists’ lives, their fascinating quirks, and most of all their artworks, are unfailingly fun to read. ...Of the seven women profiled in Seaman’s book — Louise Nevelson, Gertrude Abercrombie, Loïs Mailou Jones, Ree Morton, Joan Brown, Christina Ramberg and Lenore Tawney — several are well known in the art world. Which makes you wonder if Seaman, a Chicago-based editor at Booklist who has written more on literature than the visual arts, is the right person for the job ... Seaman uses seven artists, deeply committed to their work, to spin out a tale of creativity and romantic neglect that doesn’t particularly serve art — or the artists. It makes for nice subway reading. But I feel as if the artists in this book deserve something more — and that they, even more than I, might frown upon Seaman’s well-meaning endeavor. 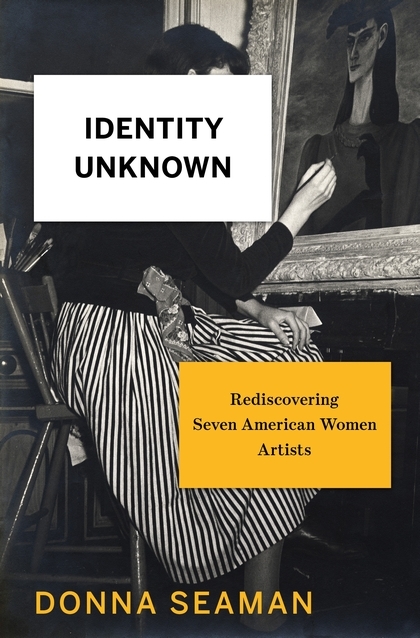 What did you think of Identity Unknown: Rediscovering Seven American Women Artists?